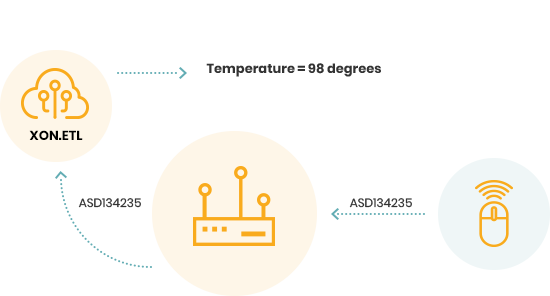 The X-ON cloud is a Low-Power Wide Area (LPWA) IoT data cloud platform. Rich connectivity, device and gateway management capabilities make X-ON the ideal choice for deploying IoT networks locally or globally. 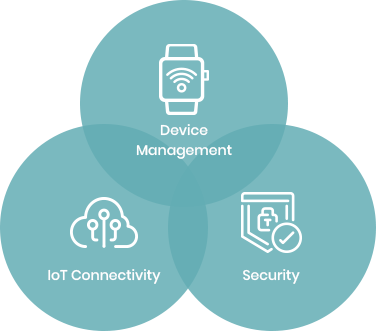 Achieve significant ROI benefits and faster market access leveraging the full suite of X-ON capabilities for your IoT devices and applications. The Link feature set provides secure, low-power wide-read wireless connectivity for sensor applications. Collect and analyze sensor data in real-time with your own X-ON cloud managed wireless network. Simple deployment with a rich set of API’s to deploy at scale. X-ON.Control provides command & control capabilities for complex IoT use cases with sensors and control systems. The Control features enable comprehensive command and control capabilities for all of the X-ON devices with downlink as well as Multicast. Build complex applications for both sensors and active controller devices leveraging the security and reliability of the X-ON cloud Control tools. X-ON.Transform provides data adaptation between LoRaWAN and different IoT API frameworks. The Transform capabilities in X-ON provide dynamic interoperability with any number of frameworks and protocols simultaneously. Combined with Data Mirroring and multiple transport protocols, Transform provides seamless data integration options to any application framework as well as rich tools for support and troubleshooting. 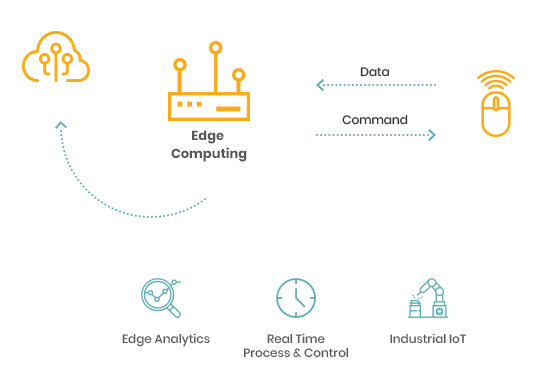 X-ON.Edge enables deployment of intelligent applications for real time analytics and process control at the edge of the network. 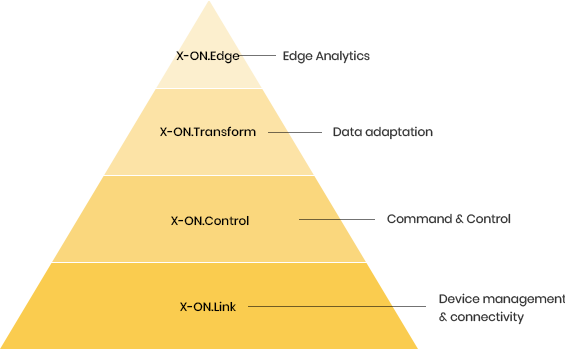 Use X-ON.Edge for mission critical applications with low-latency. Many solutions require low-latency and must operate independently of a global IP network infrastructure. Take your edge-ready applications from the cloud and deploy them on X-ON.Edge as intelligent agents with Haxiot Gateway Manager. 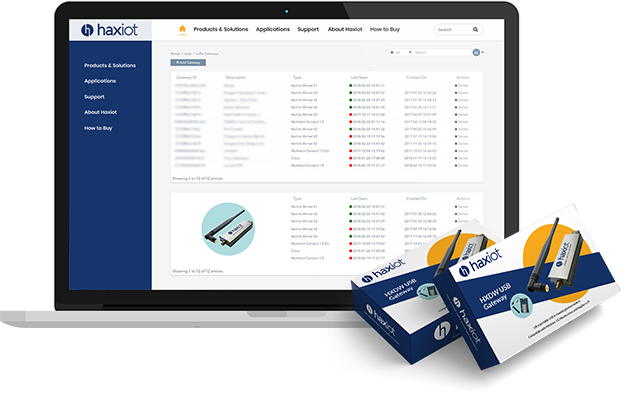 The Edge solution from Haxiot manages your edge devices and applications. Awesome Internet of Things products that you can build on. Its extremely easy to take X-ON for a test drive with our evaluation kits. Each kit contains a USB gateway and a client device with a 90 day free X-ON Cloud account. Setup and showcase your own IoT network anywhere with Windows 10 or Linux system and Haxiot USB gateways. LoRaWAN is one of the fastest growing IoT wireless standard. LoRaWAN provides more options for business models needing more coverage and extremely low power. It is ideally suited for devices that require ultra low system cost, massive numbers with low message rates. 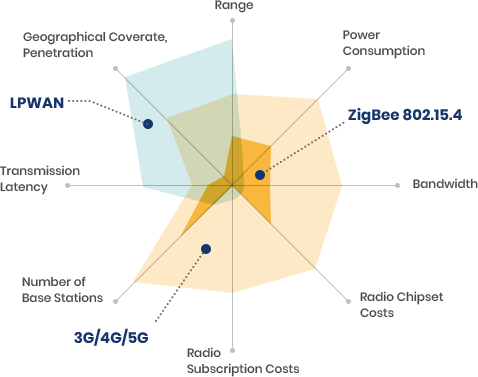 The hub and spoke deployment with centralized device management dramatically reduces TCO compared to mesh or short-range wireless technologies such as BLE or Zigbee. 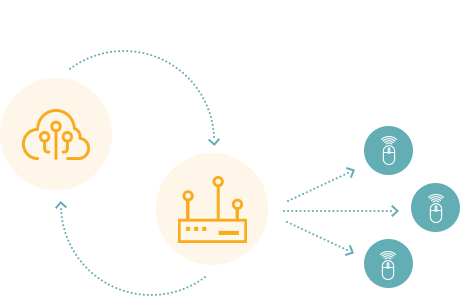 Capabilities such as Multicast make LoRaWAN IoT solutions uniquely capable of large scale control systems, which are not supported by cellular networks. A star topology ensures ultra-low power consumption and 10 year+ battery life can be achieved. The X-ON cloud supports Self Organizing Networks (SON) capabilities to automatically optimize coverage, battery life and device performance.